You have always been a high achiever and you’ve enjoyed the success that you’ve attained but something has changed. You’ve prided yourself on getting things done. You’re a ‘doer’ but suddenly you find yourself stuck and procrastinating. You’re no longer in flow and you don’t like. At work, you have to deal with more and more difficult situations and people. You find it hard to cope with this. You don’t like to say ‘NO’ or disappoint others and when people act aggressively your natural response is to close down and get out of the situation as quickly as possible. You wonder whether you’re too nice to do this job or run a business. You’re aware of your stress levels rising, it’s affecting your sleep and you’re feeling exhausted during the day. Sometimes, you feel sick and your heart is racing. It feels like all the fun has been sucked out of your life. You’ve tried to just keep going. Put a brave face on it. Grin and bear it. You give yourself no time to really think about what’s happening as surely it will change soon. Won’t it? The costs to you personally, your health and your relationships have become too high. You’re struggling now. You worry about making the wrong decision as you don’t know what the answer is. Your fear of failure keeps you stuck. You feel alone and isolated. Be energised and feel well again? Control your inner critic and transform your thoughts? No longer be held back by other people’s views of you? Be clear about what you want and be able to say ‘NO’ and ask for support when needed? Reduce your stress and rebuild your resilience? Move from feeling stuck to making decisions with confidence? Be able to handle difficult people and situations? Know how to effectively delegate to others? I decided to investigate life coaching after a friend had suggested it might be what I need in order to support a plan that was in the making; starting a new business. On my side, I had the plan, the passion, the conviction, and the experience of running a business in a previous lifetime. Against me, I had ‘the fear’. Actually, I had two types of fear. The first type was welcome and necessary – the anticipation, the commitment, the finality of leaving a job. The pros, the cons, the ‘will this actually work’ feelings which are tempered with solid planning and resourcing. But I also had a large dose of the second, destructive type of fear. Self-doubt. A loss of confidence. In hindsight, a form of depression from which the escape seemed to be the creation of this new business. 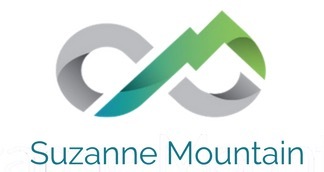 I was aware that unpicking the tangled web from escapism, to healing, to planning and execution was going to take a special kind expertise and so, I set to task with ‘Operation Mojo’ which landed me at the door of Suzanne Mountain. My first question to Suzanne: ‘What is the difference between counselling and life-coaching?’ Suzanne: ‘There is an overlap of course – but counselling will focus on yesterday whereas life coaching will focus on tomorrow’. Sign me up! Suzanne was outstanding. Allowing the natural pace of such a rebuild is one thing –keeping me on the right path was another. She did both, no problem. At times, the work was challenging, but in the main, it was exhilarating. After 6 sessions, 1 per month, I am now clear, energised and have many of the plans required to be business ready underway. It is no longer a form of escapism. I don’t need that escapism anymore (a significant statement indeed). I still have the fear though. But it’s the right one. The one that is exciting. The one where plans are made and executed. I feel alive. I went to Suzanne to change my life – and that is exactly what she did. My eternal thanks. This is a bespoke package tailored exactly to what you need. You get to choose the number of sessions you need six, nine or twelve. And as it is completely tailored to your needs, you also set the pace so you decide whether your sessions are weekly, fortnightly or monthly. Powerful strategies, skills and tools to help you manage your inner critic. Confidently asking for what you want and saying No to what you don’t want. Strategies and tools for reducing your stress and building resilience. Getting unstuck and making decisions when emotions are involved. Also included is a short notice 30-minute call to be used if needed during times of crisis or when an exciting opportunity arises. If you want to find out more about this amazing experience then here’s how it works. Step 1. First book a free 30-minute consult with me. We will jump on the phone to chat about your current situation and to make sure that this package is right for you. Step 2. If we decide to go ahead, we’ll book you into the diary. Step 3 Once I have received your payment, you will receive your Burnt Out to On Fire pack via email for completion and return. I had recently taken on a senior position at a new company and I knew that I would be facing some tough audiences both internally and externally. I approached Suzanne to give me some coaching and guidance on how the be assertive and professional in the different situations I would be likely to face. The guidance she gave me was always extremely relevant to my situation and in most cases, I was able to put them into practice soon afterwards. After each session, I felt more confident and more able to deal with some of the challenges that I was now facing. I’ve found the coaching from Suzanne to be highly professional and rewarding. We covered a lot of topics in our time together but I felt from the outset she really understood my issues and the guidance has been extremely valuable. As a result, I feel I am much better equipped to deal with all the different challenges that my role presents and I now look forward to meetings knowing I can deal with any situation that arises. If you are looking for highly professional, challenging, individual and transforming coaching then I wouldn’t hesitate to recommend Suzanne. I’ve found the whole experience extremely valuable and rewarding.